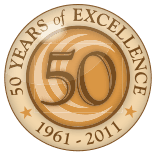 With more than 50 years of experience in the HVAC industry, Bodine-Scott leads the way in providing quality heating, duct cleaning, and air conditioning services in the greater Corpus Christi area. We are committed to keeping our residential, and commercial customers cool in the summer and warm in the winter. When dirt and other indoor pollutants build up in your ductwork, your HVAC system picks up those contaminants and disperses them throughout your home or business. Bodine-Scott offers duct cleaning and sealing to improve your indoor air quality and create a healthier environment for you and your family. Whether you have a small leak or need a brand new system, the plumbers at Bodine-Scott will be there to help. With the ability to quickly determine the cause of any plumbing issue, our specialists are reliable, honest, and trust-worthy. We also offer water heater repair and installation, featuring a full range of traditional and tankless water heaters for your home or business. Increasing the energy efficiency of your home or business will decrease your utility bills and increase the well-being of the environment. The experts at Bodine-Scott not only offer professional home energy audits but also provide advice on DIY home versions as well. Commercial HVAC requirements are often more demanding than residential applications and our affiliate, Air Pro Mechanical Inc., is exceptionally qualified for all of your design-build and planning construction needs. Our service programs help our customers stay on top of the maintenance needed to keep their HVAC systems running smoothly and efficiently. We offer flexible plans designed to give you the protection you need at a price you can afford. Whether it’s deciding on a new home heating system or commercial air conditioning system repair, Bodine-Scott is the one to call in Corpus Christi.